If your organization has any form of contact with Protected Health Information (PHI), HIPAA compliant hosting is required by law. MedEd Web Solutions provides the controls necessary to achieve this. Our assurance of HIPAA compliance in regards to your data is a primary business objective of ours. MedEd Web Solutions data centers are located both on-site at our corporate offices as well as at a separate off-site location. We have extensive experience in HIPAA and PHI compliance. We provide a high availability HIPAA hosting environment to ensure PHI accessibility as required by HITECH (Health Information Technology for Economic and Clinical Health Act). When requested, we offer our clients a BAA (Business Associate Agreement) to clearly define our obligations and document our policies, processes, and procedures to ensure your data is protected throughout your entire MedEd Web Solutions hosting experience. In addition, we collaborate with our clients on all additional security requirements requested. Essential security, availability, and protection from disasters for the perfect cloud environment. The dedicated physical solution that will easily suit all of your database and high-computing needs. Easily move your own server environment into a redundant and protected IT infrastructure. MedEd Web Solutions has delivered reliable application clusters to enterprise clients for over 15 years. 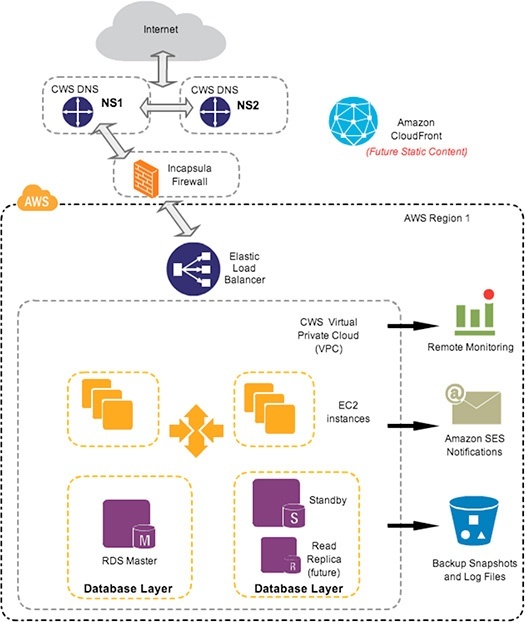 For example, MedEd Manager is one solution hosted in a Virtual Private Cloud (VPC) on Amazon Web Services. This robust architecture allows us to achieve nearly 99.9% uptime and instantaneous backups of all your important data. Data is protected via an Incapsula firewall and our custom security group configurations that limit RDS database connections to only our web servers. EC2 instances (Linux web servers) provide reliable, load-balanced web services to clients at consistent speeds. In addition, we utilize Amazon SES for reliable email notifications to our health professionals. This has greatly reduced our undeliverable message rate caused by third party content/spam filters. To effectively promote well-being for physicians, we first must understand the causes and effects of burnout. Download this guide to find out everything you need to know about physician burnout.